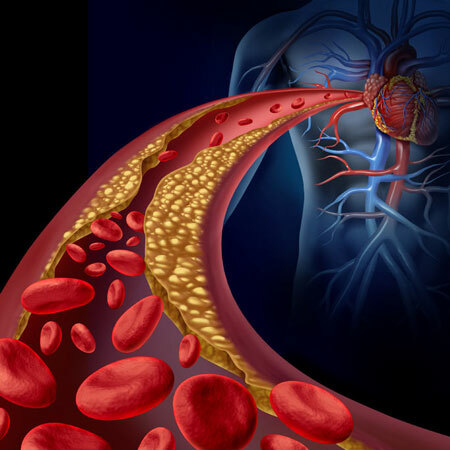 Hyperlipidaemia is chronic condition indicated by elevated cholesterol levels. It's more prevalent in men than in women, and is associated with an increased risk of cardiovascular disease. Typically hyperlipidaemia is asymptomatic. It can be triggered by a host of factors, such as poor diet, obesity, smoking, excessive alcohol intake and the prolonged use of steroids. In South Africa, hyperlipidaemia is a chronic disease list condition that's eligible for prescribed minimum benefits (PMBs). This means by law, medical aid schemes are required to cover the costs of diagnosis and on-going medical management of the condition, as outlined by the Medical Schemes Act. As a diagnostic tool, blood sampling to measure cholesterol levels is covered in most cases. Medical aid schemes also provide full cover for a number of medicine classes used to treat hyperlipidaemia. These include statins, bile acid sequestrants, fibrates and niacin. To benefit from legally enforced chronic cover, medical aid members are expected to follow a structured disease management protocol. The first step is to get a recognised diagnosis from a registered healthcare professional. On low to middle income medical aid plans, this usually has to be a GP or specialist who's part of your scheme's network. The requisite ICD-10 diagnostic code, officially linked to hyperlipidaemia and published in the government gazette, then has to be forwarded to the medical aid scheme. Once the diagnosis has been approved, the member has to join a disease management programme if the scheme has one. As part of the programme, a suitable medication-based treatment algorithm is developed and pre-authorised by the scheme. To manage the rising costs associated with hyperlipidaemia chronic cover, schemes are entitled to use plan-specific medicine lists, or formularies, and to pay for listed medicine classes only up to specified sums. The member is responsible for any payments above the defined limits. Members of entry- to mid-level plans are typically required to use designated service providers or network doctors, pharmacies and hospitals. Medical aid schemes pre-negotiate rates with these healthcare providers to keep them as affordable as possible. Although all South African medical aid schemes provide automatic cover for hyperlipidaemia, top-tier options do offer additional benefits. Medicine formularies are more extensive and typically cover branded medications rather than only generics. This gives members greater choice of medicines. Also, the Recommended Drug Amount (RDA) paid per medicine class is usually higher, so there are no co-payments or funding gaps for members to cover. In addition, members of comprehensive medical aid plans can consult any GP or specialist, get their medication dispensed by any pharmacy and visit their preferred private hospital or clinic. Many of the leading open medical aid schemes in the country provide benefits that surpass those required by the Medical Schemes Act. Discovery Health, for instance, claims to cover an expansive array of medicine classes and more diagnostic and follow-up tests. With so many schemes and plans to choose from, it’s recommended that you consult an IFC broker to discuss the best available cover for chronic conditions, such as hyperlipidaemia. Call or e-mail us today to find out about the best possible South African medical aid for you.